Keep the sunscreen and snack bag handy - and maybe get a few pages further in your book before you doze off. It's all yours - sit as long as you like. Fire up the charcoal grills and put your skills to the test. Flipping pancakes in your pjs. Full kitchen means you can go straight from jammies to swimsuit (without having to put on "real" clothes in between). Grand Caribbean Condominiums by Wyndham Vacation Rentals is located in the heart of Destin, right across the street from the beach. The traditional southern architecture captures the charm of an old plantation, with the hospitality to match. The outdoor pool is heated seasonally to ensure a comfortable temperature. Go for a refreshing swim or a soothing soak in the hot tub while the kids show off their diving skills. Thinking burgers for lunch? Let the kids help by carrying the cheese, buns and ketchup and head for the outdoor bbq grills. The beach is a must-stroll, wade along the warm waters of the Emerald Coast, or relax with your latest beach read and keep an eye on the kids playing in the sand. One-bedroom condos sleep six guests and feature full kitchens, equipped and ready for you to start digging for the perfect omelet pan. Publix Supermarket is just over a mile away, bring the family along to help carry grocery bags. Spacious living and dining rooms, plus private balconies give you plenty of space to settle into for a comfortable, relaxing stay. Bring some of the family’s favorite movies to watch on your DVD player. Gather the kids and all of their blankets, pillows, and teddy bears on the couch, pop some popcorn and get ready for a fun night in. Take advantage of the in-suite washer/dryer and do a load or two of laundry before the end of your vacation. Now all you have you do when you get home is unpack. Destin Commons has everything you need for a fun day of retail therapy. If you’re looking for apparel, there’s Lucky, H&M, and American Eagle. Kids will love Build a Bear, where they can create their own stuffed animal while tweens will go wild in Claire’s. Need a new pair of shoes? Check out Foot Locker. Hungry? La Famiglia serves Italian, Johnny Rocket’s is a 50s-style diner, and you can build your own burger at Smashburger. The Indian Bayou Golf & Country Club has everything you need for a fun day of golf. It features three nine-hole, par-36 courses as well as a Pro Shop and putting green. Big Kahuna’s Water and Adventure Park features over forty attractions, so there’s something for everyone. There are four kid’s slides: Piranha, Tahiti Twister, Blue Mambo, and Hydro Max. If you want to experience the feeling of skydiving without having to jump out of a plane, there’s Sky Coaster. It goes sixty miles-per-hour, and it’s one-hundred feet high. The Honolulu Half Pipe is a bodyboarding and surfing experience. Little ones will have a blast in the water play areas. - The front desk is open daily 9:00 AM - 5:00 PM. The check-in location differs from the property location. To check in, go to 35000 Emerald Coast Pkwy. If you are planning to arrive after 5:00 PM please contact the property in advance using the information on the booking confirmation. - Check-in for this property is based at 35000 Emerald Coast Parkway, Destin, FL 32541. For more details, please contact the office using the information on the reservation confirmation received after booking. - The individual making the reservation must be 25 years of age or older and must occupy the rental property the entire term of the reservation. Singles under 25 are prohibited unless accompanied by parent or legal guardian. Minimum check-in age is 25. Reservations must be made by individuals 25 years of age or older, and the individual must occupy the rental property the entire term of the reservation. Singles under 25 years of age are prohibited unless accompanied by a parent or legal guardian. There are tons of attractions, excellent restaurants, and of course miles of pristine white-sand beaches. 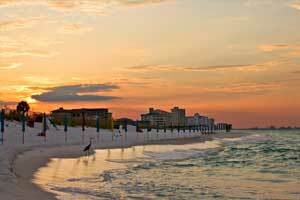 At the same time, Destin is much less crowded than Panama City Beach to the east.